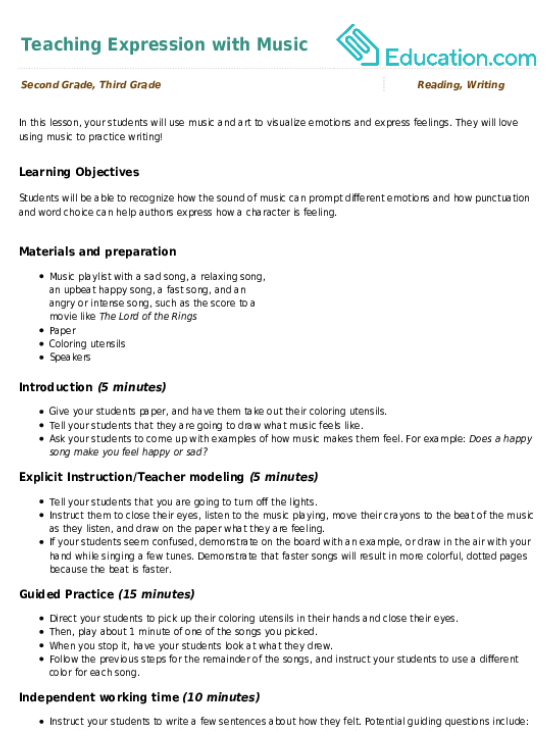 "Recall information from experiences or gather information from print and digital sources; take brief notes on sources and sort evidence into provided categories." This worksheet will challenge your fourth grader's knowledge of American history by asking him to match up fun state facts with their states. Think your child knows his U.S. States? Test his knowledge with this fun roundup of state trivia. Kids completing this year four social studies worksheet identify states by capital city and shape, building knowledge of U.S. geography. 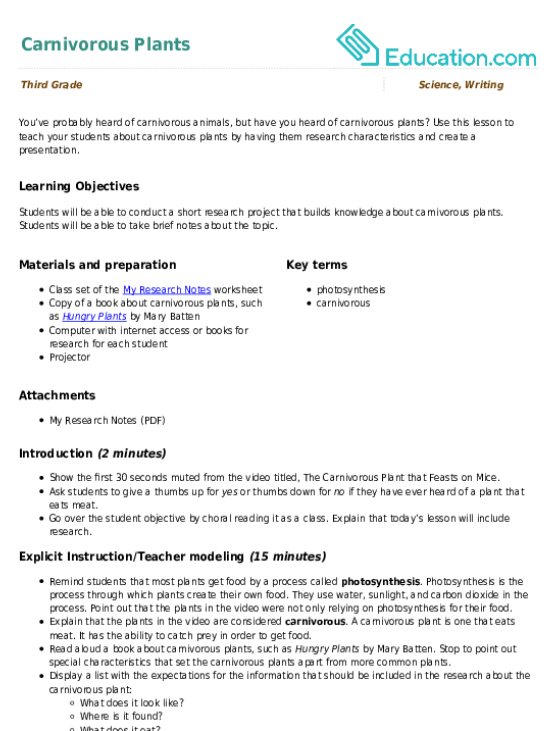 Postal Abbreviations Map: Make It Short! 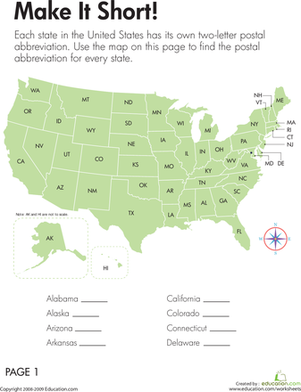 Kids use the U.S. map on this year four geography and social studies worksheet to find and identify the postal abbreviation for each of the 50 states. 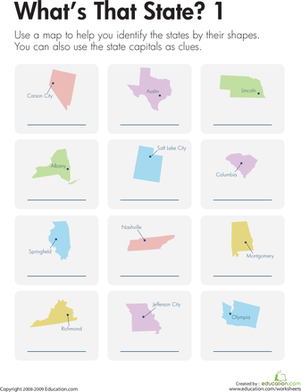 Grab a map and get some states and capitals practise! Kids identify states by capital city and shape, building knowledge of U.S. geography. In this lesson, your students will use music and art to visualize emotions and express feelings. They will love using music to practise writing! Make it move! 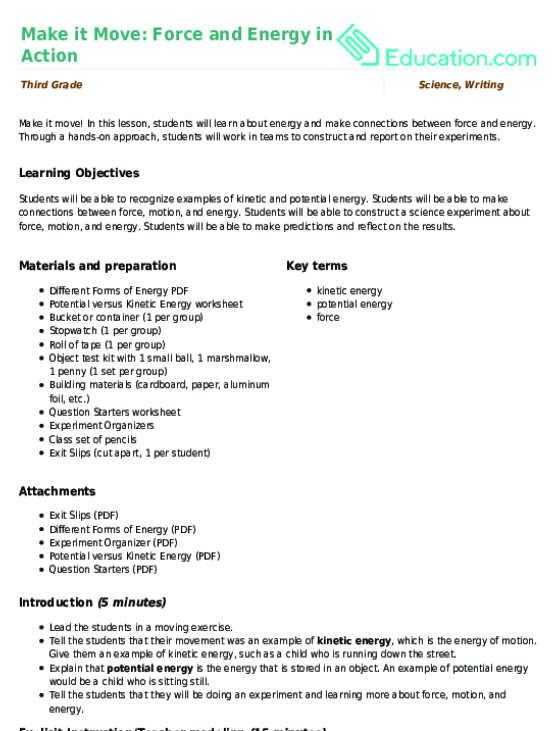 In this lesson, students will learn about energy and make connections between force and energy. 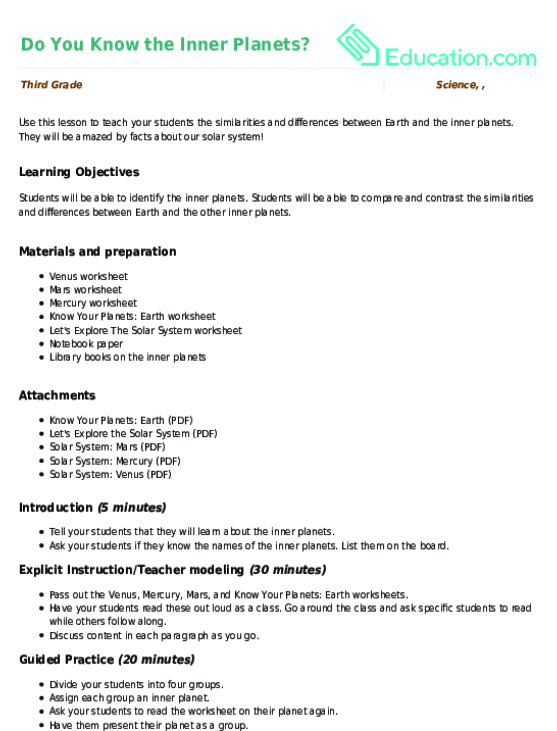 Through a hands-on approach, students will work in teams to construct and report on their experiments. You’ve probably heard of carnivorous animals, but have you heard of carnivorous plants? Use this lesson to teach your students about carnivorous plants by having them research characteristics and create a presentation.